How Cold, Damp and Wind affects your health? 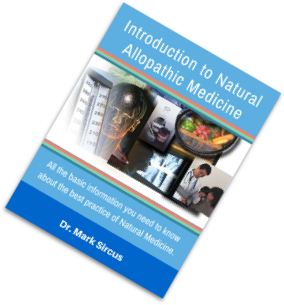 People throughout the world claim that the weather has a direct connection to their health – from changing symptoms of current ailments to the increased susceptibility to a new sickness. Atmospheric scientists have been studying weather’s impact on the human body for years (called biometeorology), and have found that sudden temperature changes, cold snaps, heat waves and even ­thunderstorms can all have a direct effect on certain conditions. Exposure to cold temperatures, whether indoors or outside, can cause serious life-threatening health problems. Infants and the elderly are particularly at risk, but anyone can be affected. To keep yourself and your family safe, you should know how to prevent cold-related health problems and what to do if a cold-weather health emergency arises. 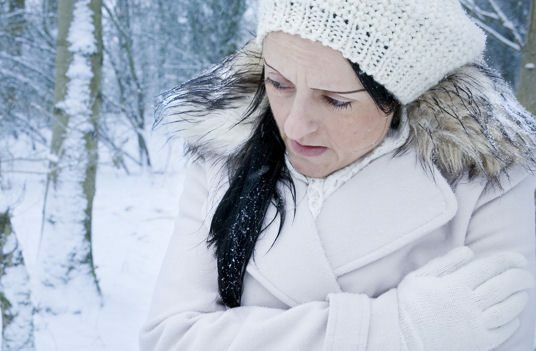 The body’s reactions to low temperatures put stress on the cardiovascular system. These reactions include constriction of blood vessels in the skin, shallow breathing through the mouth, and slight thickening of the blood, all of which can lead indirectly to angina (chest pain) in people with heart disease. Hypothermiameans the body temperature has fallen below 95 degrees Fahrenheit. It occurs when your body can’t produce enough energy to keep the internal body temperature warm enough. It can kill you. Heart failure causes most deaths in hypothermia. Symptoms include lack of coordination, mental confusion, slowed reactions, shivering and sleepiness. In regions relatively unaccustomed to winter weather, near freezing temperatures are considered “extreme cold.” Whenever temperatures drop decidedly below normal and as wind speed increases, heat can leave your body more rapidly. When temperatures whip wildly from high to low people are often adversely affected. It is not only the shock of the change that our bodies react to but sometimes we are just not prepared or dressed right. People who have high blood pressure, especially need to take extra care in dressing warmly for cold-weather walks. High winds, snow and rain also steal body heat contributing to the cold penetrating deep into the body. Wind is especially dangerous, because it removes the layer of heated air from around your body. At 30 degrees Fahrenheit in a 30-mile wind, the cooling effect is equal to 15 degrees Fahrenheit. Similarly, dampness causes the body to lose heat faster than it would at the same temperature in drier conditions. As the speed of the wind increases, it can carry heat away from your body much more quickly, causing skin temperature to drop. When there are high winds, serious weather-related health problems are more likely, even when temperatures are only cool. Extreme cold is a dangerous situation that can bring on health emergencies in susceptible people. Cold is a known source of disease and death. Chinese medicine for thousands of years recognized cold (and heat) as two principle causes of disease. In very cold weather, bodily heat escapes quickly, leaving less energy and fewer resources available to deal with basic needs. Cold lowers the heart’s supply of blood, while exertion raises the demand for it. This imbalance between supply and demand can cause attacks of chest pain. Even in people who don’t have heart disease, cold exposure can raise blood pressure. To conserve heat, the muscles contract to obstruct the flow of blood to the arms and legs. This reroutes extra blood to the vital organs and boosts the blood pressure. Some conditions, such as rheumatoid arthritis, are greatly impacted by the weather (especially cold and/or rain), while others are minimally affected, if at all. In general, weather extremes of any kind will place additional stress upon the body, which is usually not helpful for those already suffering from a host of conditions. For an estimated 5-10 percent of the population, cold weather triggers a painful and sometimes debilitating disorder for people who suffer from Raynaud’s disease. Raynaud’s is an autoimmune disorder in which spasms in the blood vessels can interrupt blood flow to the fingers, toes, nose and ears. Exposure to cold triggers the spasms, typically causing the affected area to turn white, then blue, then bright red. Cold-induced pain is from smaller blood vessels that tend to spasm in low temperatures, which leads to a restriction of blood flow to the associated areas. In Chinese medicine, cold contracts and obstructs. Imagine how you feel standing outside when it is in the 30’s. Alternatively, how ice cream feels when it is in your mouth. Cold symptoms would be those such as feeling chilly, having cold limbs, a pale face, and the desire to drink warm liquids. Even pain in the joints and limbs or in the stomach can be due to cold. Cold syndromes result from exposure to external cold or lack of heat (yang energy) inside the core of the body. 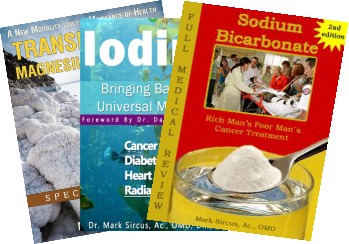 Those will low thyroid function, iodine deficiencies, and lowered core body temperature would be most vulnerable. Cold syndromes can present themselves with a variety of symptoms: pale complexion, preference for warmth, a bland taste, cold limbs, fatigue, clear profuse urine, loose bowels, thin and clear body discharges. There is usually a pale tongue with white glossy coating, and a slow or tense pulse. Moxibustion is an ancient Chinese method of burning herbs on or above the skin, usually at specific acupuncture points. Moxa is burnt like a cigar and held above the skin, which results in a pleasant warmth that deeply penetrates the tissue to stimulate, energize, and focus healing energy into specific acupuncture points. The heat warms the energy (chi) and blood in the body and is useful in the treatment of disease and maintenance of health. Quite often pain and disease result from a blockage or improper flow of energy and blood, and moxibustion stimulates with heat to alleviate the original blockage and correct the flow. Moxa is created from the herb Chinese Mugwort. This warming quality brings healing energy for many conditions such as in the chest it soothes asthma; relieves abdominal pain, diarrhea, and vomiting; and in the extremities, it helps relieve arthritis and rheumatic pain. In Chinese medicine, the nature of Moxa is said to be Yang. 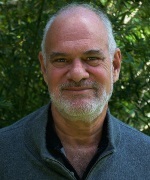 Yang energy is that energy that gives the body its functions and it movement. Moxa restores and warms weakened Yang; and it strengthens Yang from collapse. So it is often used when someone has been struggling with an illness to help rebuild strength and vitality. Moxa expels cold and dampness. Moxa is an excellent disease preventative and helps maintain health. It has been used as a regular treatment for longevity. Since moxa is hot, it should not be used in febrile diseases of excess heat. In particular when one has a high fever such as in a common cold with a fever in excess of 102 degrees. It should not be used where there are hot areas on the body. Certain areas of the body should be avoided with moxa such as large blood vessels, skin creases, mucous membranes, sensory organs, prominent tendons, and the breasts. During pregnancy, one should avoid having moxa on the lumbar, abdomen, or sacral region. Part of the reason moxibustion works so well for pain is that it increases blood flow to painful areas, which acts as an analgesic and promotes prompt healing. It is especially effective in chronic pain where dramatic results are often seen. If several points or areas are to be warmed, then the stick may be moved to the next place, coming back to the original point later. Normally, the moxa stick is burned for a few minutes on each area, or until the skin becomes red in the vicinity of the point. One method is to use a circular motion with the stick moving around and over the desired area. This spreads the focus of the heat over large surface areas, and is especially good for soft tissue injuries, skin disorders and larger areas of pain. Another method is called ‘sparrow pecking’ the moxa stick is rapidly ‘pecked’ at the point without touching the skin. This enables the heat to penetrate deeply and so is good when strong stimulation is desired. Be sure to periodically tap the ashes off the stick into a container, as otherwise they will fall on the person’s skin and bum. Putting out the moxa stick is just as important as learning to use it. If not safely extinguished, it can easily continue to smolder and potentially cause a fire. 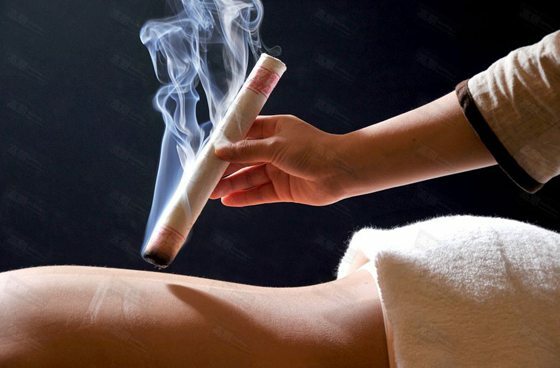 Moxibustion therapy is effective in simple and infantile diarrhea, chronic gastroenteritis, peptic ulcer, bronchial asthma, rheumatism of muscles and joints, neurasthenia, hypertension, menstrual disorders, chronic pelvic inflammation, and climacteric syndrome menopause. Definite effect was obtained in the treatment of pulmonary tuberculosis, and thromboangitis obliterans. Anyone can practice moxibustion though it is helpful to study Shiatsu and possibly some acupuncture and Chinese medicine. It is very inexpensive and very effective in the face of cold, damp and windy conditions. This is simply the best medical device for elevating internal body temperature. The Biomat’s far infrared light penetrates deep into the cells warming and stimulating them with frequencies that nurture and strengthen while providing pain relief and a relaxation that is heavenly. The Biomat is a wonderful piece of therapeutic equipment that improves circulation and cardiovascular function, improves the immune system, relieves pain, burns calories, eases joint pain, and reduces stress. Biomats are approved medical devices that heat you from the inside out with far infrared light. This raises core body temperature making one’s immune system considerably stronger and comes in handy when fighting colds, flu and even cancer. With a Biomat, you can turn the heat way down in the house at night and just heat your body. It pays for itself in colder climates just with the reduced heating costs. It is nothing like sleeping on a heating pad. When we are cold, hurt, or have any health issues, the first thing we want to do is solve the problem so we can get back to feeling fantastic, and just enjoy our lives. That solution is no further away than the next time you jump into bed to relax and nurture yourself on a Biomat. As the cold seasons become longer and more bitterly cold and as one fights the flu, or any other kind of illness, one willwant a Biomat. Cold seasons with less light thus less vitamin D can bring trouble in terms of our health. Colds and the flu come to us this time of year creating much suffering and even death. We do not want to be helpless. I can tell you as a parent that watching one of my children go through the flu is painful. However, that pain is reduced when we see a loved one comforted with a Biomat. When their suffering is reduced, so is ours. It is impossible not to love one’s Biomat, especially in the dead of winter. Their only drawback is that they do use electricity so are no help when the lights go out unless you have a generator. Otherwise, they are perfect pieces of medical machinery that reduce pain, discomfort and even emotional upset. They warm the body and our hearts and that is why they are so easy to love. Special Note: With less love in the world than ever before, meaning with more people being single and sleeping alone, the Biomat takes on even deeper meaning and feeling. All warm bodies radiate out infrared light and that is why it is so nice to cuddle when getting into a cold bed together. That is what the Biomat is really like. It is the feeling it gives even when one is sleeping alone. One who owns one never have to get into a cold bed again.